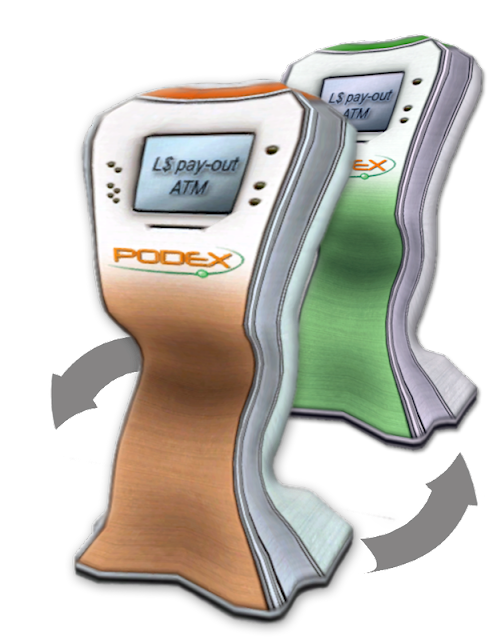 Teleport to Podex office in your grid and pay the orange terminal the amount of virtual money which you want to transfer to other grid. You should see Podex web page. Choose the second option option because you want to send your coins to other grid and follow to the next page. Now you are asked to give us information about the grid and avatar where we should send virtual coins. Choose the grid and write the name of the avatar. The avatar which will receive coins must be registered in Podex system. If it is not, you must log in to the grid, teleport to Podex office and click the green terminal. Your avatar will be registered. That's all! The avatar will be donated with the coins in a few moments! If you want to know how many coins you will receive use our exchange rate calculator below.